Unsure how to promote your business? Don’t know how to explain what you do or set yourself apart? 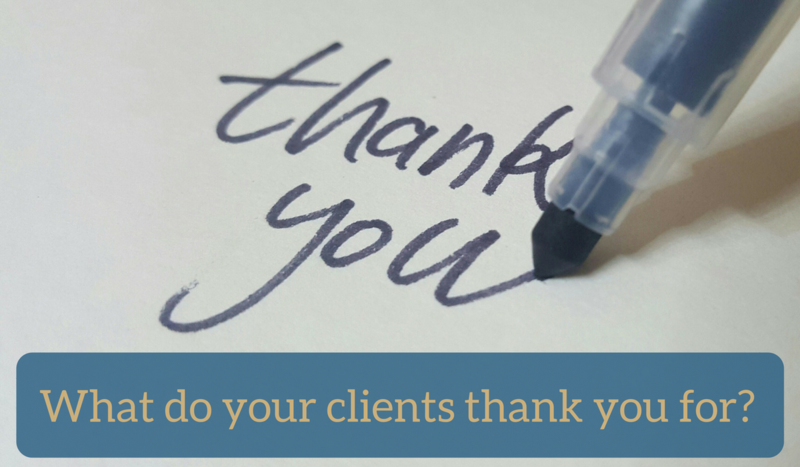 What do your clients thank you for? You might think you’re selling decluttering services, but what if the thing your clients really appreciate, is the kind and gentle way you guide them to release old stuff that no longer has a place in their lives, so they can move on from the stories of their past? Or maybe they love the peace and harmony in their household now that they’re no longer tripping over all that junk? Maybe they’re getting on better with their partner and they’re having more fun with the kids because they’re nagging less? Paying attention to what your clients thank you for, is a powerful way of connecting with what really matters to them. And when you know that, you know how to connect with other clients who have the same desires. It also allows you to see the value of your work in a fresh light. Many of us find it hard to comprehend the wider impact of our work. We take our skills for granted and we don’t see how others struggle with tasks that come so easily to us. Take out a notebook, pick up the phone and have a chat with three to five clients or customers who you truly loved working with. Ask them how their life or work has changed as a result of the work you have done together. Write down their EXACT words. Ask if there were any other benefits to your work together…. Do you see where I’m going? You may have to probe a little deeper to get to the real juice. And of course, you should ask for feedback on how you can improve your product or service as well. When you’re done, ask your client for permission to turn their words into a testimonial, which you can send to them for approval before sharing. Then take their exact words, and consider how you really helped your clients. Is this reflected in your website copy? Are you promoting this benefit to potential clients? To take the decluttering example, perhaps your website is all about clean spaces and tidy rooms, when your client actually values the loving way you gave her permission to let go of a deceased relative’s belongings. And therein lies your point of difference: any declutterer can tidy up, but not everyone can do it as beautifully and empathetically as you. Consider also what stories, anecdotes, tips, information or content you could create that would engage potential clients who would also love to experience this benefit. Make a list of post ideas that speak to that thing your clients really appreciate. Now that you know what your clients value most, are you selling services or products that match their desires? For example, perhaps you are selling 1:1 programmes, when what your client valued most was your loving, personalised 1:1 guidance. Consider how you could tweak your offers to provide her with what she really wants. Paying attention to what your clients thank you for is a simple practice that can transform the way you do business. Make a habit of asking the questions and recording the answers in your notebook every time you work with a client or customer. 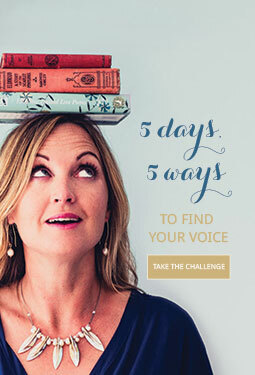 This will keep you connected to what your clients really want and need from you, allowing you to be nimble and create new offerings to suit their needs. You’ll also have a steady source of content ideas too. So what do your clients thank you for? Share your insights in the comments below.